Welcome to Childtowne Montessori Camp 2018! Space is limited and available for only Childtowne Montessori students. 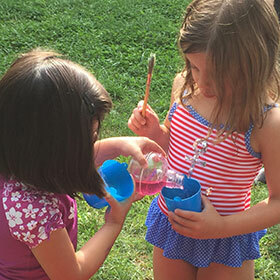 Childtowne Montessori Camp is a fun and dynamic way for children to spend their summer! Bringing traditional camp activities into our Montessori classrooms, children will continue learning while at camp! Camp runs for 8 weeks, starting Monday June 11th and ending Thursday August 9th. Camp will be closed the week of July 4th celebrations. 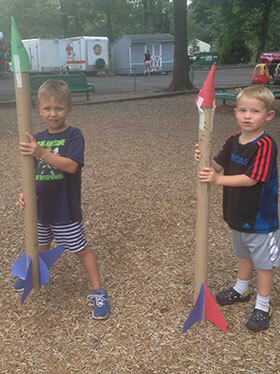 Our new 4-day, Monday through Thursday, 9:00am - 3:00pm, camp week creates a complete camp experience and allows for families to enjoy their long weekends without missing any activities! 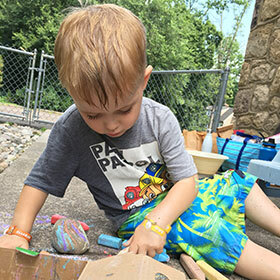 The children will benefit from fun-filled days guided by Childtowne Montessori teachers and specials including: art, yoga, music, and movement every week! Childtowne Montessori is dedicated to providing a physical, developmental, and emotional camp experience that focuses on the whole child. 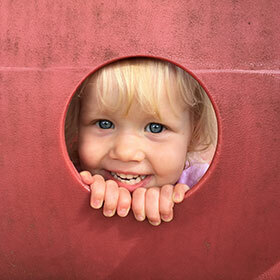 We look forward to a great summer creating special memories with your child. Campers enjoy outdoor athletic and exploration activities. Take a snack break from the fresh snack basket! The children will have the opportunity to choose from a variety of healthy options including fruit, nut-free granola bars, and cheese sticks. Specials will include Sports, Art, Music, and Yoga. Lunch for all campers and then the toddlers will prepare for nap time. 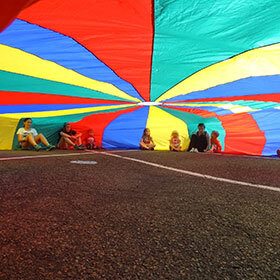 Toddlers nap, while the rest of the campers enjoy themed activities in the classroom. Ice-pops and playtime on the playground. 3:00pm prompt dismissal from the playground or the All-Purpose Room in the event of rain.